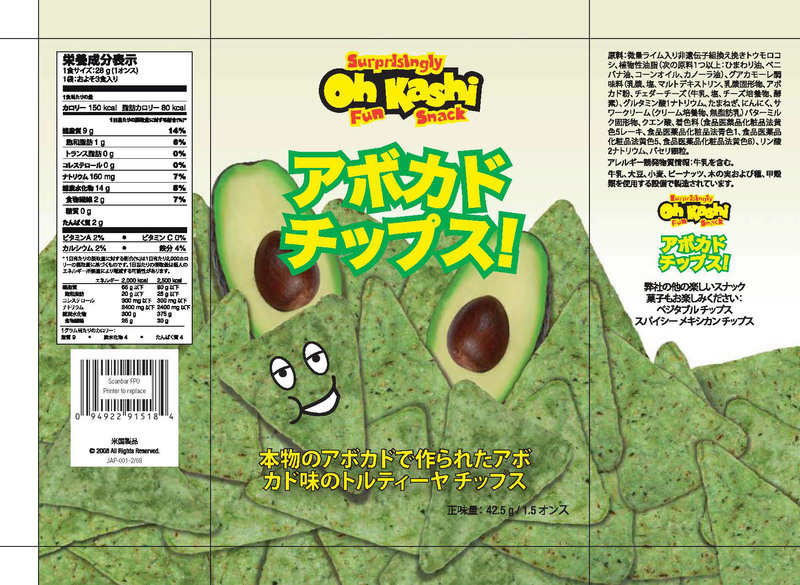 Design series of snack chips for multi country launch in Japan, Korea, and US. 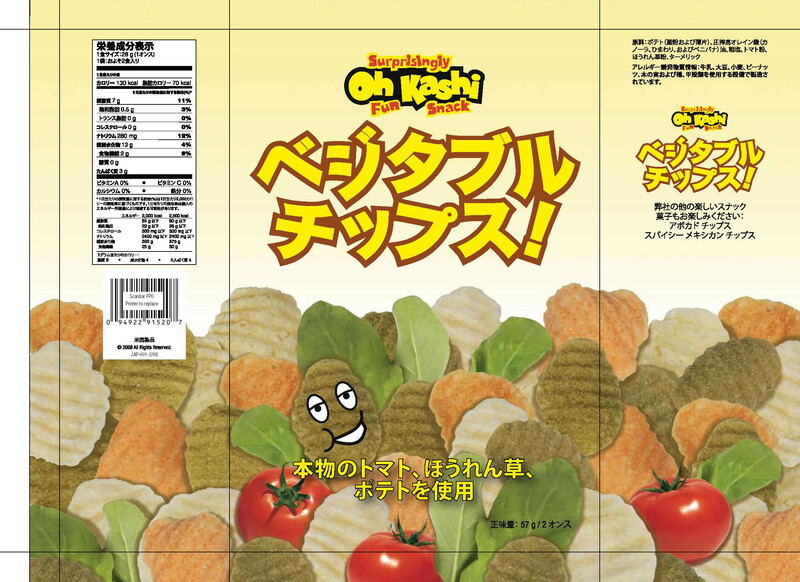 Project included design, production brand development and brand specifications, style guide specifications. 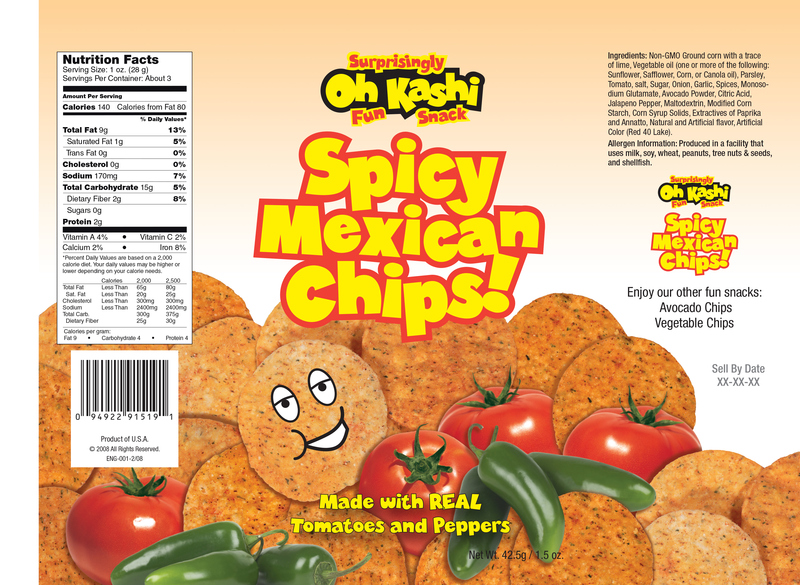 Oh Kashi is a food distribution company that distributes various flavored tortilla chips in the eastern US, middle east, pacific asia regions. They decided to develop their own brand and packaging division. 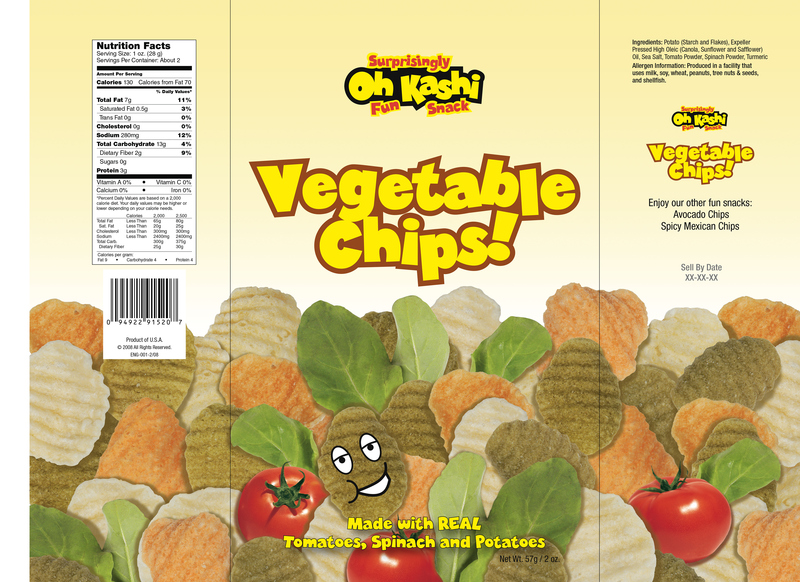 Design, production, client coordination, manufacturer coordination. 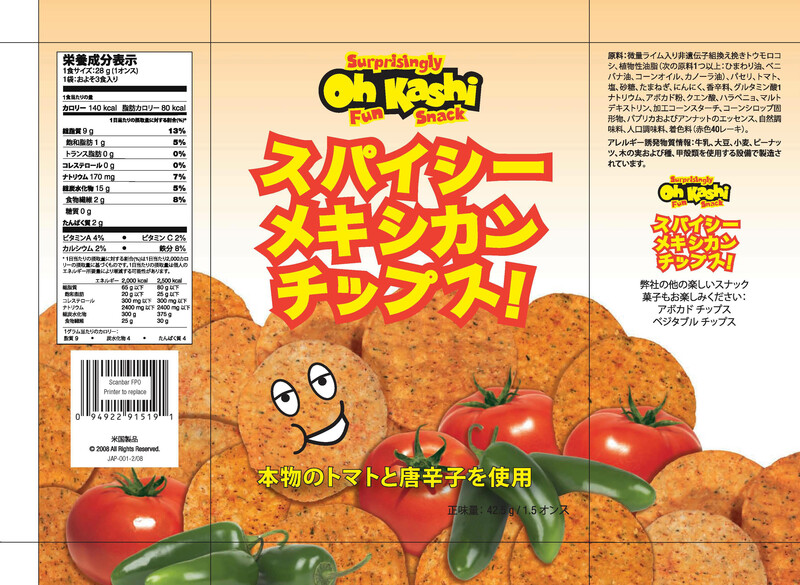 Package design included tight coordination with chip bag printer, language translation. 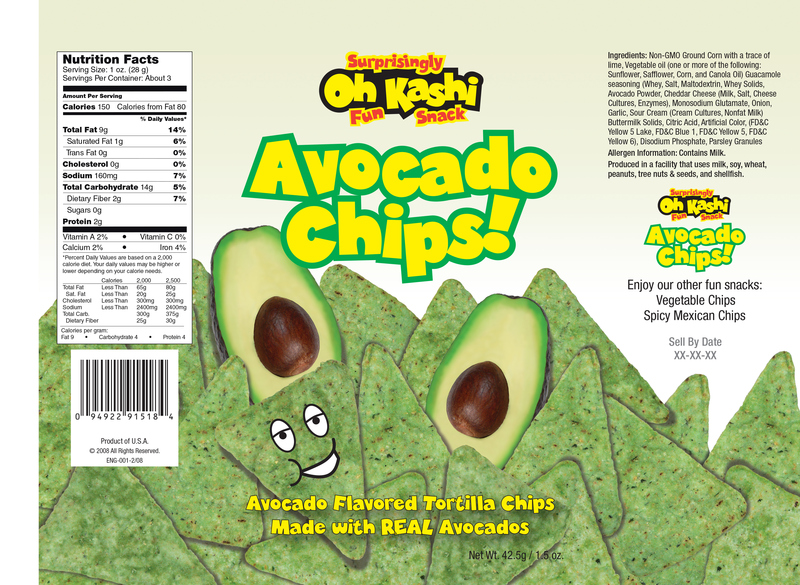 Brand development, design and production. Mechanical specification with printers in China and mid west.